He’ll need a new number, of course. Added to the IR as the season began, for the Flyers, Laughton will join the Phantoms–perhaps as soon as tomorrow in Providence, RI, for a conditioning assignment. It will be interesting to see where they slot him in the lines. Normally, I’d be thrilled to have a “big time” player come down from the big club to help our minor league team. But, right now, I’m hoping to build some continuity with the lines and continue to develop good chemistry. Hopefully this doesn’t interfere too much. And, if everyone is healthy and not suspended, Laughts will be motivated to play well and make his way back to Philadelphia lest he get assigned here for a longer term. Lehigh Valley, PA – The Philadelphia Flyers, parent club of the Lehigh Valley Phantoms, have announced that forward Scott Laughton has reported to Lehigh Valley on a conditioning loan. A 22-year-old forward from Oakville, Ontario, Laughton is in the midst of his third professional season and is coming off a year in which he tallied 7 goals, 14 assists and 21 points in 71 games with the Flyers. 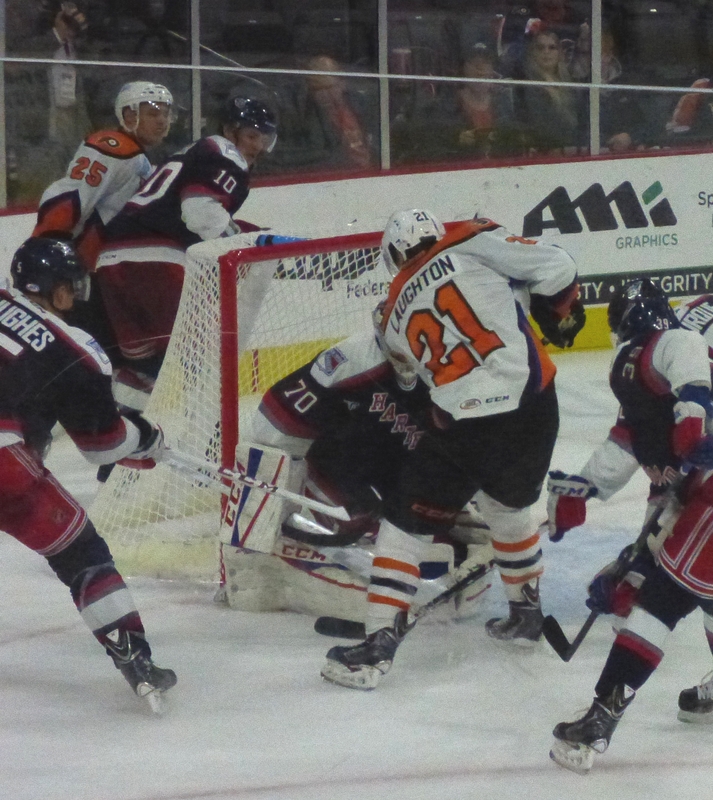 A first-round selection (#20 overall) by Philadelphia in the 2012 NHL Entry Draft, Laughton has appeared in 45 career AHL games with the Phantoms where he’s compiled 15 goals, 15 assists and 30 total points, including Lehigh Valley’s first-ever regular season goal scored at PPL Center on October 17, 2014. The Phantoms cap a season-high five-game road trip on Friday, November 4 when they visit the Dunkin’ Donuts Center in Providence for their first meeting of the year with the Bruins. The team then returns home to PPL Center on Saturday, November 5 for 80’s Night when the Springfield Thunderbirds come to town. A limited number of tickets remain for Saturday’scontest and can be purchased online at pplcenter.com, by calling 610-347-TIXX or in-person at the PPL Center Box Office [701 Hamilton Street]. 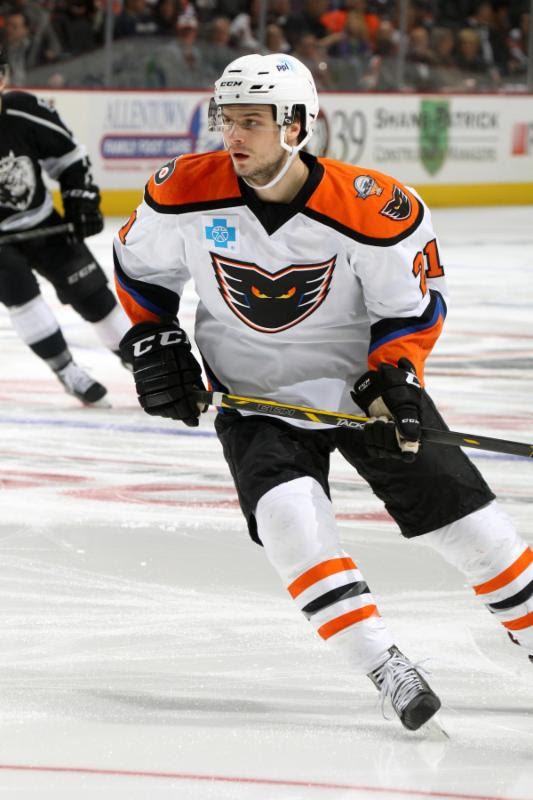 ‹ When Will Phantoms Players ‘Rise Up’–In The AHL Standings?